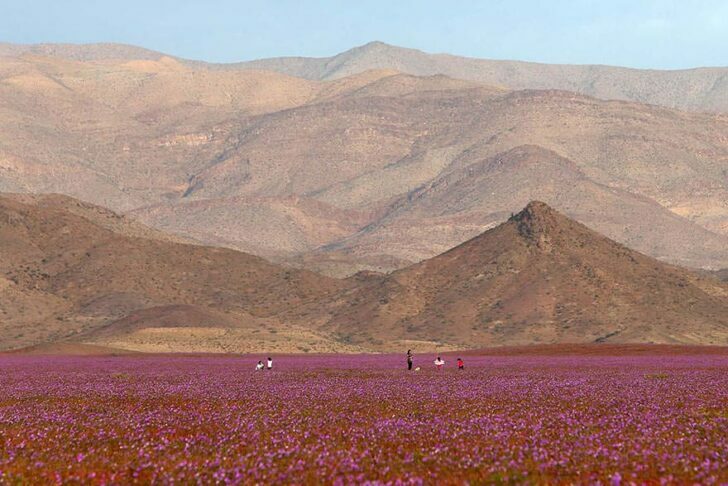 The Atacama desert in Chile is experiencing a rare springtime bloom of flowers after El Niño brought the heaviest rainfall in two decades earlier this year. 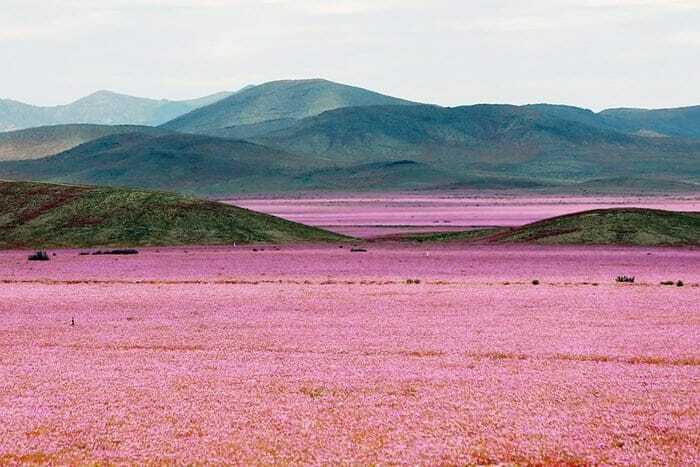 The desert is usually one of the driest places on Earth. 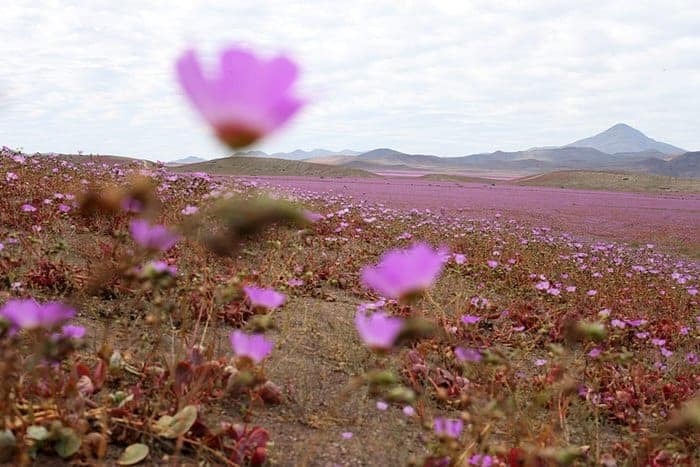 200 native species of flowers normally bloom every five to seven years but this year’s showing has been one of the most spectacular, giving arid lands rare scents and colors.